Julia Abbattista of Westfield, New Jersey will be teaching 1st grade at St. Martin of Tours School in the Oxford Circle section of Philadelphia. Julia is a 2018 graduate of Saint Joseph’s University. As an undergraduate, Julia double majored in Elementary Education & Special Education. During her years at Saint Joe’s Julia worked in the Kinney Center for Autism Education and Support as a Kinney SCHOLAR, volunteered at SpArc Philly through the weekly service program, and served as a group leader for the Winter Immersion trip to El Paso, Texas. Julia has gained experience in education through her fieldwork at Gesu School, Chestnutwold Elementary School, Shawmont Elementary, and Clara Barton Elementary. Julia was also a regular on the Dean’s list while attending Saint Joseph’s University. Danielle Bouchard of Miami, Florida will be teaching Social Studies at John W. Hallahan Catholic High School for Girls in Center City Philadelphia. Danielle is a 2018 graduate of Saint Joseph’s University. As an undergraduate Danielle majored in History and earned a minor in Marketing. 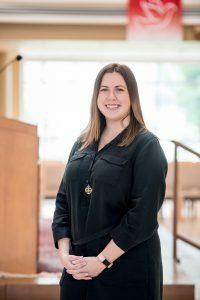 During her years at Saint Joe’s Danielle worked as a student worker in the Office of Admissions, served as Secretary of Autism Speaks University, presided as Vice President of Campus Relations for Alpha Gamma Delta sorority, and was a member of the Women’s Ice Hockey Club. Megan Burke of Yorktown Heights, New York will be teaching middle school Science at Visitation BVM School in the Kensington neighborhood of Philadelphia. Megan is a 2018 graduate of Saint Joseph’s University. As an undergraduate Megan majored in Biology and Environmental Science. 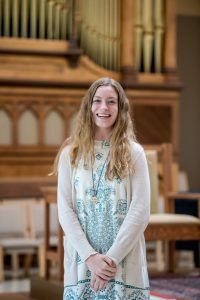 During her years at St. Joe’s Megan worked as an Environmental Intern for the Share Food Program of Philadelphia, led high school students in the study of genetics as a GeoLINKS Fellow, and participated in the University’s Summer Scholar research program. Mariah Casillas of Pennsauken, New Jersey will be teaching 5th grade at the Gesu School in North Philadelphia. Mariah is a 2018 graduate of Cabrini University. As an undergraduate, Mariah majored in English with a concentration in Writing. During her time at Cabrini Mariah worked as a tutor for elementary and high school students, served as President for the Delta Xi Phi Sorority, and led Cabrini’s Woodcrest Magazine as Editor and Manager. Mariah is passionate about nutrition and has developed programs to promote healthy nutrition for children, adolescents, and young adults. 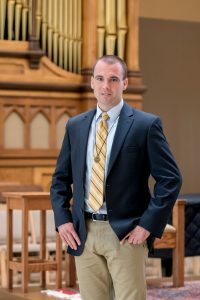 Paul Cillo of Baltimore, Maryland will be serving as the Director of Campus Ministry and teaching middle school Religion at Our Mother of Consolation School in the Chestnut Hill section of Philadelphia. Paul is a 2016 graduate of La Salle University. As an undergraduate Paul majored in Religion and Secondary Education. 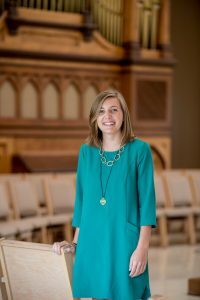 While attending La Salle Paul worked as a Resident Assistant, served as a Peer Minister, managed the Late Night La Salle program, and participated in service immersion trips to Kentucky, the Dominican Republic, and Kenya. 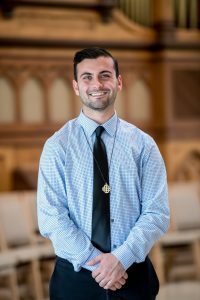 Paul has gained experience in the field of education as a student teacher at Archbishop Wood, and most recently as a Religion teacher at La Salle Academy in Manhattan. Mr. Cillo is an Eagle Scout. 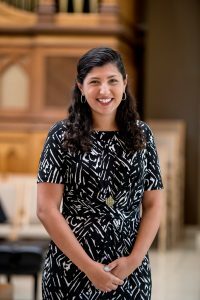 Francesca DeSapio of Frenchtown, New Jersey will be teaching at Mother of Divine Grace School in the Port Richmond neighborhood of Philadelphia. Francesca is a 2018 graduate of Saint Joseph’s University. As an undergraduate, Francesca double majored in Musical Theatre and Art and earned a minor in Educational Studies. During her years at Saint Joe’s Francesca participated in Chapel Choir, University Singers, and the SJU Theatre Company. Francesca attended the University of Notre Dame’s Summer Scholar Program for Acting for Stage and Screen in 2013. Francesca has gained experience in education through her fieldwork at Samuel L. Gompers Elementary School and Clara Barton Elementary School. Francesca is a member of the Alpha Sigma Nu Jesuit honor society. Jacob Diehl of Dedham, Massachusetts will be working on the admissions team at West Catholic Preparatory High School in University City. 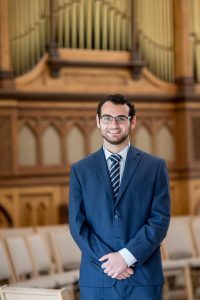 As an undergraduate Jacob majored in Business Administration and Managing Human Capital and earned minors in Leadership, Ethics and Organizational Sustainability, Faith Justice Studies, and Theology. During his years at Saint Joe’s Jacob has worked as a Service Scholar for the Faith Justice Institute, served as a counselor for the Saint Joseph’s University-Holy Name Camden Summer Camp, and conducted research on reentry programs for the previously incarcerated as a member of the Summer Scholar program. 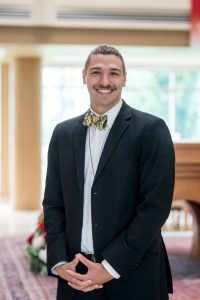 Jacob also served as a leader for the Saint Joseph’s University Christian Living Community, the Appalachia Experience, and the Philadelphia Service Immersion Program. Thomas Finley of Las Vegas, Nevada will be teaching middle school Science at St. Frances Cabrini School in the Overbrook section of West Philadelphia. Thomas is a 2018 graduate of Virginia Tech University. As an undergraduate, Thomas majored in Biochemistry and earned a minor in Chemistry. During his time at Virginia Tech Thomas worked as a lab assistant, was an active member of the Newman Center, and participated in Alternative Spring Break Service trips to Mississippi and Paterson, New Jersey. During the summer of 2017 Thomas served as a Teaching Fellow in Houston’s Breakthrough program for economically-disadvantaged students. Thomas is a recipient of the Cyrus H. McCormick Scholarship and was a regular on the Dean’s list at Virginia Tech. Bill Giuliano of Verona, New Jersey will be teaching Social Studies at Monsignor Bonner & Archbishop Prendergast High School in Drexel Hill, Pennsylvania. Bill is a 2018 graduate of the University of Scranton. As an undergraduate Bill double majored in Political Science and International Relations and earned a minor in Theology. 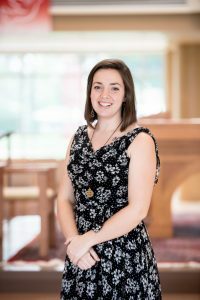 While attending Scranton Bill was a member of Concert Band and Jazz Ensemble, worked as a student worker in Campus Ministry, led the Search Retreat, and participated in service immersion trips to Washington, D.C. and Belize City. Sasha Hatfield of New York, New York will be teaching 4th grade at St. Dominic’s School in Northeast Philadelphia. Sasha is a 2018 graduate of Boston College. As an undergraduate, Sasha majored in Economics and earned a minor in management and leadership. 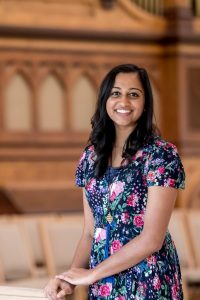 During her time at Boston College Sasha worked as a staff member for Campus Recreation, contributed to The Gavel (Boston College’s student newspaper), and volunteered through 4Boston as a teaching assistant at Jackson Mann Preschool. Some of Sasha’s most formative experiences as a college student occurred on Appalachia Volunteers Experience immersions in Big Creek, Kentucky and Charlotte, North Carolina. As a senior Sasha served as a leader for the Charlotte immersion experience. Sasha is a member of the Omicron Delta Epsilon International Honor Society for Economics. Anthony Hoyt of San Bruno, California will be teaching English at Saints John Neumann and Maria Goretti Catholic High School in South Philadelphia. Anthony is a 2018 graduate of Santa Clara University. As an undergraduate, Anthony double majored in English and History while earning a minor in Urban Education. While attending Santa Clara Anthony also worked as the International Student Program Associate at his high school alma mater, Junipero Serra. In this role Anthony provided holistic educational and emotional support to international students as they transitioned to their new school environment. 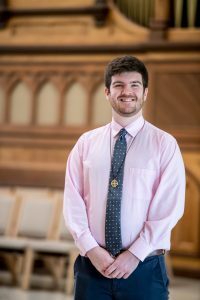 Anthony is a member of the Phi Alpha Theta History Honor Society. 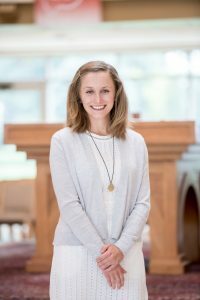 Abigail Koetting of West Hartford, Connecticut will be teaching middle school Mathematics at Holy Name School in Camden, New Jersey. Abigail is a 2018 graduate of St. Bonaventure University. As an undergraduate, Abigail majored in Elementary Education, Special Education, and Early Childhood Education. Abigail has gained experience in education through her fieldwork at Eastview Elementary School in Olean, New York, Allegany-Limestone Elementary, and West Hartford Public Schools. Additionally, Abigail supported kindergarten through 12th grade students as the coordinator for the Bona Buddies mentorship program. Abigail is a member of the Phi Eta Sigma National Honor Society, the Kappa Delta Pi Education Honor Society, and was a regular on the Dean’s list at St. Bonaventure. Katherine Leavy of Pittsburgh, Pennsylvania will be teaching middle school English at Blessed Trinity Regional School in the Mayfair section of Philadelphia. Katherine is a 2016 graduate of John Carroll University. As an undergraduate Katherine majored in English and earned a minor in History. While attending John Carroll Katherine volunteered through the University’s center for Service and Social Action, worked as an Editorial Assistant for the English department, and earned the honor of English Department Distinguished Research Scholar. 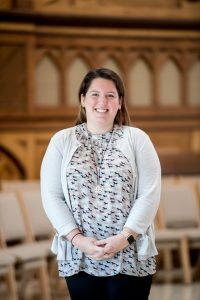 Most recently, Katherine has served as an assistant teacher for the Barber National Institute, and as a Peer Support Counselor at the University of Pittsburgh’s Resolve Crisis Center. Gwen Liu of Kaneohe, Hawaii will be teaching Kindergarten at Holy Cross School in the Mt. Airy neighborhood of Philadelphia. Gwen is a 2018 graduate of the University of Hawaii at Manoa. As an undergraduate, Gwen majored in Elementary Education with dual preparation in Elementary and Early Childhood Education. Gwen has gained experience in education through her fieldwork at Wai’alae Elementary School, Mililani Waena Elementary School, and Benjamin Parker Head Start. Gwen is a recipient of the Oo Syak Gee Lu Hawaii-Chinese Society Scholarship, as well as the Henry & Dorothy Castle Memorial Early Childhood Scholarship, and was a regular on the Dean’s list at the University of Hawaii. Lydia Manchery of New Hyde Park, New York will be teaching 3rd grade at Holy Cross School in the Mt. Airy neighborhood of Philadelphia. Lydia is a 2017 graduate of Baruch College. As an undergraduate Lydia majored in Accounting and earned a minor in Film Studies. 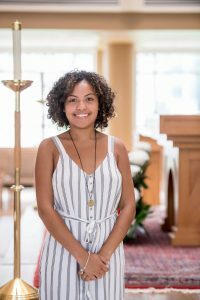 While attending Baruch Lydia worked as a tax intern, served as a catechist for St. Mary’s Catholic Church, participated in a mission trip to Haiti through the Jesus Youth Movement and visited Russia through the Global Citizen program. Lydia also performed outreach work to marginalized populations in Boynton Beach, Florida as a Jesus Youth Movement Exposure Program Fellow. 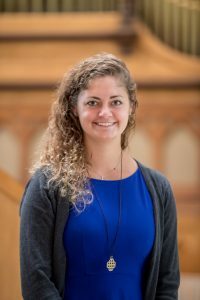 Meghan Magee of South Bend, Indiana will be teaching Mathematics at John W. Hallahan Catholic High School for Girls in Center City Philadelphia. Meghan is a 2018 graduate of Loyola University Chicago. 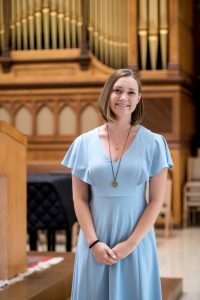 As an undergraduate Meghan majored in Mathematics and earned a minor in Catholic Studies. While attending Loyola Meghan served as a tutor and mentor through the Family Matters and Centro Romero programs. Meghan also volunteered through the Women’s Care Center. During the summer of 2017 Meghan served as a Teaching Fellow in Cincinnati’s Breakthrough program for economically-disadvantaged students. Sinead Merriman of Riverton, New Jersey will be teaching 1st grade at St. George School in the Port Richmond neighborhood of Philadelphia. Sinead is a 2018 graduate of Saint Joseph’s University. As an undergraduate Sinead double majored in Elementary Education and Special Education and earned a minor in Autism studies. 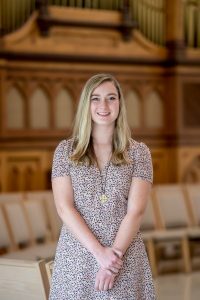 During her years at Saint Joe’s Sinead worked in the Kinney Center for Autism Education and Support as a Kinney SCHOLAR, led other students on alternative Spring Break trips to Appalachia, and played on the SJU Women’s Ice Hockey team. Sinead has gained experience in education through her fieldwork at Gesu School, Visitation BVM, Waldron Mercy Academy, and Samuel Gompers Elementary School. Sinead is a member of the Kappa Delta Pi education honor society and the Alpha Sigma Nu Jesuit honor society. Aileen Moore of Yonkers, New York will be teaching English at Monsignor Bonner & Archbishop Prendergast Catholic High School in Drexel Hill, Pennsylvania. Aileen is a 2018 graduate of the University of Scranton. As an undergraduate Aileen majored in Early and Primary Education. 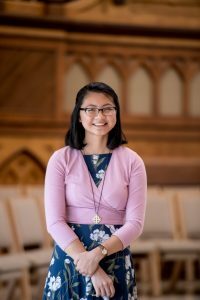 While attending Scranton, Aileen was an active member of Campus Ministry, led several retreats, and served as a mentor for students receiving first Eucharist and/or Confirmation. Aileen was a regular on the Dean’s list at the University of Scranton. Colin Newby of Media, Pennsylvania will be teaching 6th grade English at Drexel Neumann Academy in Chester, Pennsylvania. Colin is a 2015 graduate of Temple University. As an undergraduate Colin majored in English, worked for the Temple University Press as an intern, and volunteered as a writing tutor for students in grades three through eight via the Mighty Writers program. 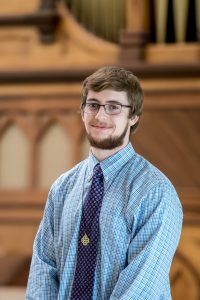 Colin has gained experience in education as an after school teacher at Allegheny Center Alliance Church in Pittsburgh, Pennsylvania. 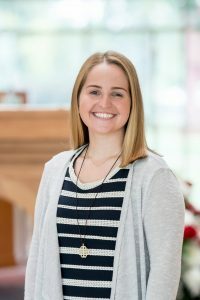 Sarah Scott of Butler, Pennsylvania will be teaching Mathematics at Saints John Neumann and Maria Goretti Catholic High School in South Philadelphia. Sarah is a 2016 graduate of Gettysburg College. As an undergraduate Sarah double majored in English and Mathematics. While attending Gettysburg Sarah coordinated after-school mentorship programs for middle and high school students, was an active member of the Newman Center, and led service immersion trips to Alabama and Louisiana. For the past two years Sarah has been working as a high school College Adviser in Huntingdon County through the Pennsylvania College Advising Corps. Eric Thompson of Cherry Hill, New Jersey will be working in retention and admissions at Saints John Neumann and Maria Goretti Catholic High School in South Philadelphia. Eric is a 2018 graduate of Saint Joseph’s University. 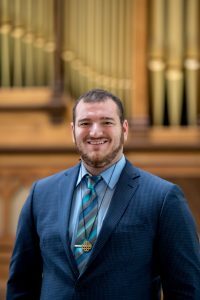 As an undergraduate Eric double majored in Marketing and Leadership, Ethics, and Organizational Sustainability and earned minors in Faith Justice Studies and Communications. During his time at Saint Joe’s Eric founded the Saint Joseph’s University Habitat for Humanity Chapter and served as President of the chapter, worked in the Kinney Center for Autism Education and Support as the Marketing and Information Technology intern, performed volunteer tutoring services at Mercy Career & Technical High School, and started two technology based businesses of his own.